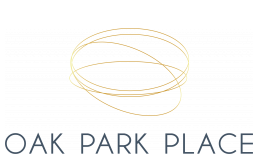 Oak Park Place Apartments is an exceptional apartment community with a full-building amenity and residential unit package to meet the needs for today's lifestyle. Find your perfect studio, one, two, or three bedroom home complete with a variety of interior finishes that take apartment living to the next level. Spacious walk-in closets and open-concept layouts ensure that you will be able to find a place for everything. Come home to elegant in-home touches like black granite countertops, stainless steel appliances, deluxe solid wood cabinetry, soaker bathtubs, and so much more. You can even choose your own accent wall to truly make your home your own. Cable-ready access and USB outlets makes your home tech savvy to fit perfectly with your lifestyle. Enjoy 24-hour services like a fitness center, cyber lounge, and more! Located in downtown Oak Park, Oak Park Place is just steps away from Oak Park's world class shopping, restaurants and array of service amenities. The property is walking distance to the CTA Green Line and Metra Station and is located 20 minutes from downtown Chicago. Birthplace to Ernest Hemingway, Frank Lloyd Wright's home and Wright-designed structures, the Village of Oak Park, and its surrounding neighborhoods offers a historically rich atmosphere, cultural diversity, and conveniences to meet the needs of its residents. You can enjoy the true culture of Oak Park when you visit the Frank Lloyd Wright Museum, enjoy the outdoors at Austin Gardens, or take a stroll around the neighborhood to access Whole Foods Market, River Forest Town Center, and a variety of other shopping and dining experiences within walking distance of home. Our community is also within five minutes of Loyola Medical University, making is a great location for professors and students alike. Apply online now or schedule a tour today to begin making Oak Park Place your new home today!